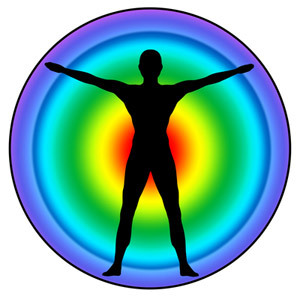 Energy healing is a relatively new concept yet based on some ancient techniques. A number of different therapies fall in this category such as Reiki, aura clearing, pranic healing, and "laying on of hands." On this site, I will be sharing the techniques that I have personally used and benefited from. Energy healing can be something as basic as just the human touch applied lovingly to yourself or another person. You may instinctively calm yourself by placing your palm on your chest, or by massaging your temples when you have a headache. Even a reassuring pat on the back of someone else who is in distress can have a beneficial effect. The impact of the touch can be accentuated by the conscious intention of the person doing the touching. In other words, when someone concentrates on and visualizes a pure flow of positive vibrations coming from the heart and going through the palms and into the energy field of the person being touched, an enhanced level of healing power is unleashed. Some of the biggest impact on my well-being has come from clearing my meridian points. Our bodies have points, or meridians, that can be blocked by stress and other emotional scars from our past. The Chinese art of acupuncture operates on this idea, and in fact, acupuncture has become almost mainstream as a therapy. Another technique that can help to open up the flow in these meridians and allow better health for the body, mind, and spirit is a newer phenomenon called Emotional Freedom Technique, or EFT. You may also hear it called simply "tapping technique." Both acupuncture and tapping have brought me profound results in relieving physical pain as well as removing emotional blocks to my good.